If you need more Ninja in your life, Red Bull has just what you're looking for. There's arguably no bigger gaming celebrity in the world right now than Tyler "Ninja" Blevins. That tends to happen when you're playing Fortnite with people like Drake on a regular basis. And hey, let's not dismiss the guy's natural charisma. He pulls in millions of viewers for a reason. And the folks at Red Bull are certainly parlaying Ninja's celebrity into something bigger. On Wednesday, Red Bull announced that Ninja would be the face of Red Bull... literally. 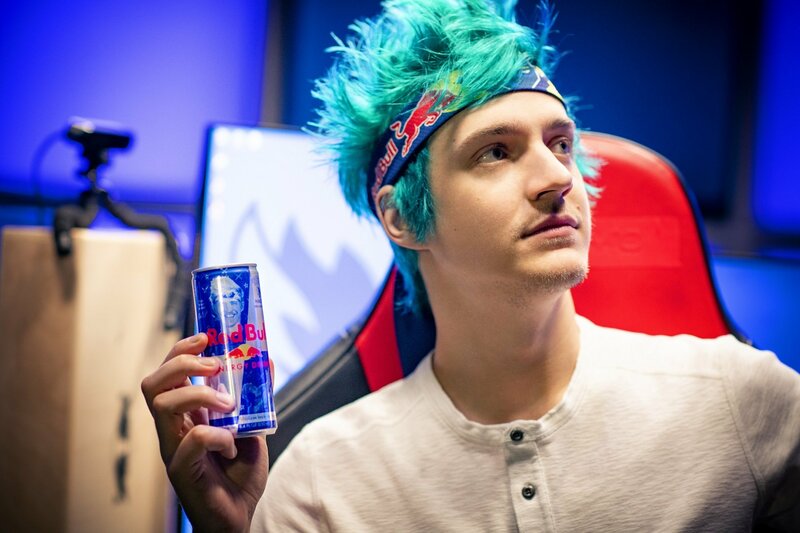 Ninja will get his own line of Red Bull cans, with Red Bull also announcing a contest for consumers to potentially meet the Twitch superstar. To enter the contest, people simply need to visit the Ninja Red Bull website to upload a picture or video showing how they game. 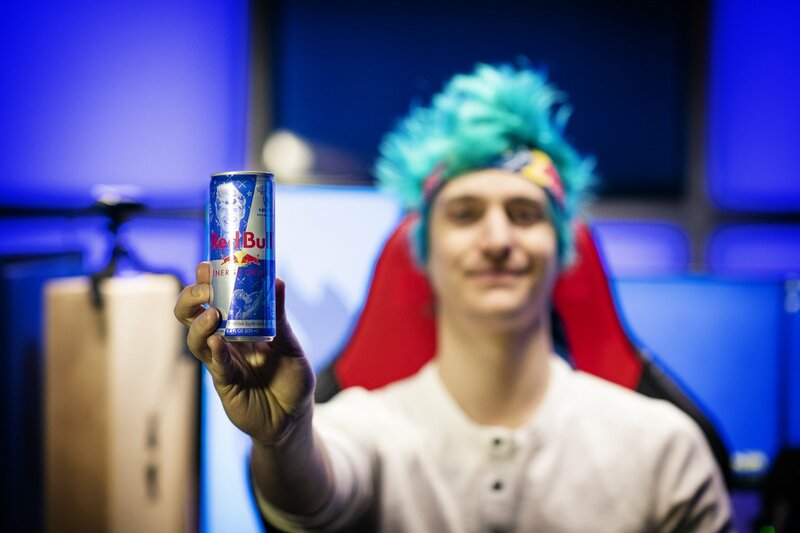 One winner will be chosen to fly to a Red Bull gaming event, where they'll join Ninja for a session. The partnership between Red Bull and Ninja has proven to be a lucrative one for both parties. Ninja drew hundreds of thousands of eyeballs to July's Red Bull Rise Till Dawn event, which saw hundreds competing in a special Fortnite tournament. Ninja has gone on to represent Red Bull at such events as the Call of Duty: Black Ops 4 Battle Royale at TwitchCon 2018 Even Ninja's less-than-finest moments (do we even need to mention New Years Eve?) have, at the very least, given Red Bull more publicity than they could have asked for. If you're aching to see Ninja's face on a can of Red Bull, the Red Bull Ninja can will be available on April 1 as a limited edition can. If you're looking for more on Red Bull's other contributions to the gaming world, allow me to point to this interview from back in September about a little event called Red Bull Hive Hustle. Such an odd sponsor. I'm pretty sure the last thing my overly hyper 10 year old nephew needs is to drink a Red Bull. Know how I know you're old? I remember being a teen and wanting stuff like Jolt, Surge, Mt. Dew, no-doze, etc. Putting faces on cans feels sort of silly in general but this isn't really any different than putting any athlete on a wheaties box. I guess so. But i wasn't allowed to drink that stuff. It wasn't until Jr. High. where we had vending machines on campus, i chugged down sugary drinks, and even then, it was sugar filled soda. Not a "energy drink" . Just seems like an odd fit is all. or GRONK Monster energy drink. Yeah, I was drinking red bull as a middle schooler, this isn't much different. I don’t get why it’s odd? Tons of tweens and teens are in Starbucks or drinking Monster. I see Red Bull mini fridges on a lot of streams, so it’s not like this is new, either.